January was a crazy month for scrapbooking and getting anything done. My family and I moved from 1 state to another just before christmas and are just starting to settle in and find out feet. I have yet to find the local scrapping shop or spotlight - i think my hubby is happy with this. 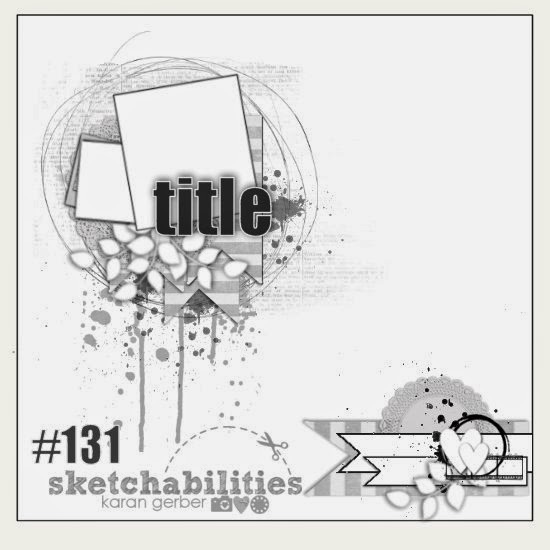 January's layout was done as a collaboration between White.. with 1 and sketchabilities. WW1 supplied the colour and sketchabilities supplied the sketch and they had to be used together! 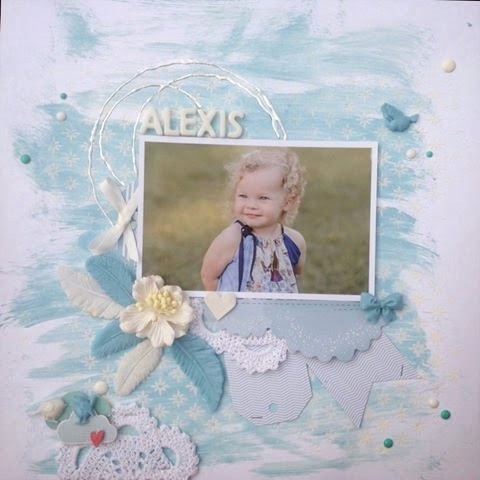 I had an absolute ball with this layout and used an image I had been storing for a while of a good friends little girl - Alexis. She has the bluest eyes and this was perfect for her! Background was washed with Making Memories (yes, that old!) 'cornflour blue' paint and a sponge. Circles were done using white stickles paint. Tags and blue paper and white fabric doilies are from the stash. The white flower is from the current 'Just Add Paper Kit - Coral Glitz Kit at D-lish scraps. The feathers, bows and birds are all hand poured resin and from this ebay shop. Why dont you take alook at the rest of the Creative Teams layouts .. and make sure you enter as well for a chance to win some fab prizes!